Since some time, industry has shown renewed interest in thermosetting molding compounds. For the end-user, their unique combination of thermal and media resistance, plus dimensional stability provides great freedom of design for high-performance components. 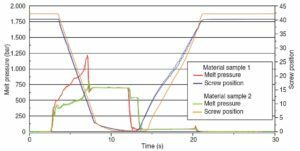 During processing, one constraint is the fact that – contrary to thermoplastic materials – thermosetting molding compounds are irreversibly cross-linked during molding. What’s more, the goods inwards inspection of this material class has been the subject of partially controversial discussions for quite a while. One reason for this is that frequently the methods and tests used are only able to check a limited number of the required properties. 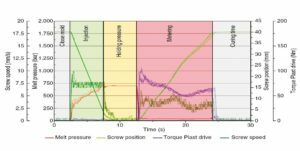 For example, the kneader test is well suited to provide a qualitative description of minimum viscosity and cross-linking speed, but not to determine the typical shear speeds and pressure conditions for the injection molding process. At best, the orifice flow test (OFT) provides an indication for the processing behavior that can be expected, simply because the melting behavior is not measured precisely, and no difference is made between viscosity and reactivity influences [1, 2]. Within the scope of the publicly funded “FiberSet” project, Hexion GmbH in Iserlohn, Germany, has focused on this problem. The aim was to develop an in-house procedure that provides a robust material characterization during processing, and makes the comparative results available quickly. Modern injection molders are able to provide a large number of measurement values, but these are simply operating parameters that are intended primarily for quality assurance, and only give a rudimentary description of the process itself. Hereby, a comparison of the injection process from shot to shot for a material batch is the primary object. However, to obtain a comprehensive evaluation of the complete injection molding process, additional measurement values from the individual cycles are required. Moreover, in order to identify changes, all data collected during several cycles must be available. For this, the machine’s sensor system was extended. The test stand basically consists of an injection molding machine (type CX 50-380 DuroSet; manufacturer KraussMaffei Technologies GmbH, Munich, Germany) and a standard tensile bar, which are used to manufacture test samples without additional expense. The standardized mold for the tensile bar has two cavities. Hereby, each cavity is fitted with two pressure sensors – one near the sprue, and one at a distance from the sprue. The temperatures of both mold halves are detected with two Pt100 sensors. Because the injection molding machine must provide far more data, the first step involves working out a practicable basic structure (Figure 1). Moreover, the most important parameters are defined, which are required for investigating the rheological processes during the plastification and injection phase (Table 1). In the second step, the construction of the plasticizing unit is adapted. 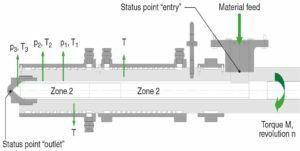 The SP380 injection unit has two tempering zones, each of which is fitted with a temperature sensor on the internal barrel wall (Figure 2). In addition, two melt pressure sensors (MPS) are installed in the front barrel jacket (zone 2). As the sensor names indicate, they measure pressure and temperature directly in the melt. Because the melting zone is very short with thermosetting plastics, i.e. it is limited to the foremost tempering zone, this is the only sensible location for the sensors. 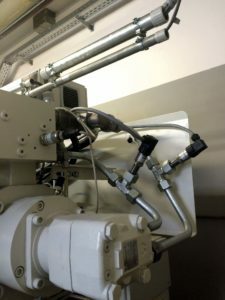 When positioning the sensors, the main challenge involves the pressures in the melting zone, which can reach up to 2,300 bar, and the limited space available on the injection molder. Furthermore, the tempering channels of the cylinder unit must be kept clear, and the threads for the nozzle as well as the sealing regions may not be cut into. A further MPS is located directly in the extended tempered nozzle. 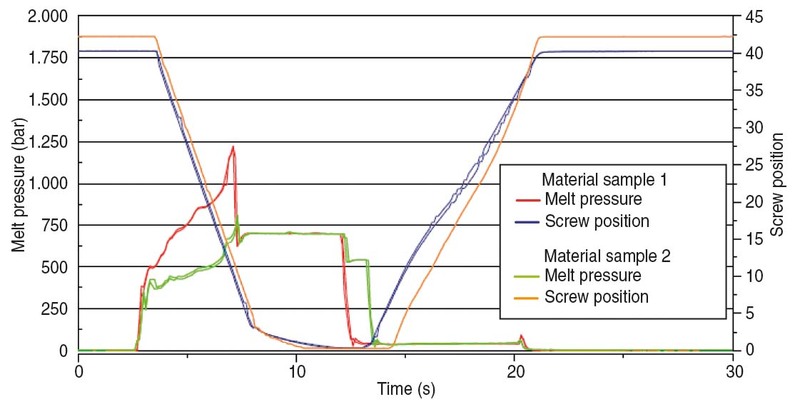 The special design of the screw-in nozzle permits an analysis of melt pressure and temperature in front of the screw. A standard nozzle cannot be used due to the limited space between the bell of the fixed platen, the nozzle, and the injection tool. In order to provide enough space for the sensor, the flow channel in the nozzle tip is extended. 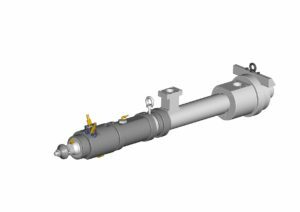 However, due to this modification, the injection conditions cannot be compared directly with those of a standard nozzle. 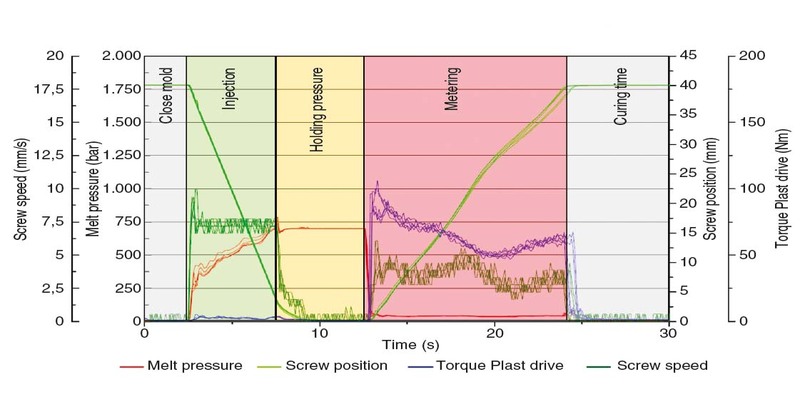 The plasticizing screw torque is detected by two additional hydraulic sensors (Figure 3). Hereby, the pressure difference between outflow and return flow of the hydraulic motor is used to determine the torque directly. The torque and speed values permit the performance and energy consumption of the plasticizing unit to be compared during the entire cycle. In order to make precise statements about the curves of process values, and to describe the states of thermosetting molding compounds, all measurement values must be automatically merged and synchronized over time (Figure 4). This is done in a LabView developer environment (supplier: National Instruments Corporation, Austin, Texas, USA). The external pressure and temperature measurements are recorded with a real-time PXI system from the same supplier. For this, two transducer modules are used. 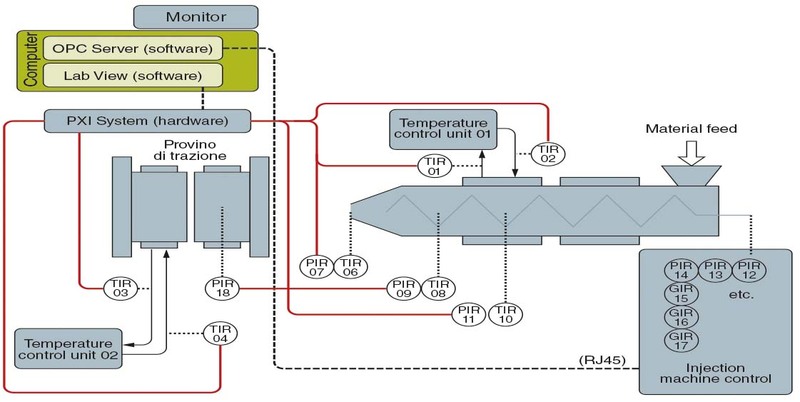 The first transducer records all temperature values of the Pt100 sensors, and the second transducer transmits the values of all external pressure sensors. Via a network link (RJ 45) and OPC software (supplier Beckhoff Automation GmbH & Co. KG in Verl, Germany), the machine data are read in real-time, and integrated in the programmed developer environment. Moreover, other real-time values are extracted from the machine controller via an additional interface. The result is a comprehensive set of data that contains all important machine parameters together with their real-time data and an automatic evaluation. For data evaluation, the system uses the National Instruments Diadem 2012 program. Hereby, the data sets are divided into three groups: data header, injection molding parameters, and real-time data. The data header contains all parameters such as type, batch, evaluation classification, etc. They describe the material to be tested. Here, also the search terms for the subsequent storage in the database are defined. The actual values of the injection molding parameters, such as plasticizing stroke, injection speed, holding pressure, and curing time help to assess process stability. Therefore, important characteristic values are extracted from the injection molding machine’s controller. The display of all machine movements and physical forces along a common time axis provides an extremely precise representation of the entire cycle. Thanks to the variable recording rate of up to 1,000 Hz, also very fast process movements can be recorded. For the first time, the user is now able to observe the entire cycle, and to understand the interrelations. Similarly, data sets can be combined and partially analyzed for the first time. As shown in Figure 5, the most important injection process values of several cycles are superimposed. In this way, the material producer receives a graphic representation with a detailed survey of variations and process movements. As these data can be exported, an offline analysis is also possible at a later time by means of mathematical filters or statistical tools. 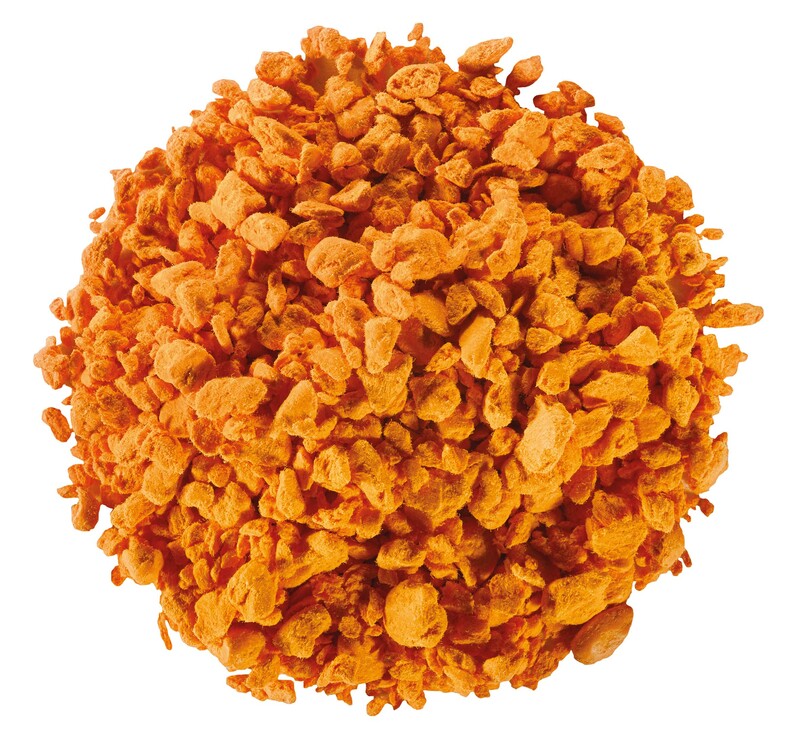 As mentioned at the start, the actual aim is material characterization of thermosetting molding compounds. From an economic viewpoint, this means that process and material deviations can be identified and analyzed faster and in more detail. In the past, samples were taken from every material production batch, processed, and their physical values checked in a laboratory. Hereby, the mechanical properties of freshly injected tensile bar samples were determined. If the batch was OK, the material was shipped to the customer. Simultaneously, the quality assurance department stored a reference sample in the archives. In case of a deviation, the material sample had to be compared with the reference sample. For this, an employee retrieved the corresponding reference sample and brought it to the quality assurance department. The sample was then processed and subsequently examined physically. This procedure can take up to three days. Now, with the automatically prepared data sets, a direct and fully automatic comparison is possible. Possible deviations in the injection behavior can be detected and specified more precisely. Reference samples no longer have to be retrieved and re-examined. Consequently, a comparative assessment can be carried out within less than an hour. But the advantages of this procedure go far beyond the greatly reduced examination time. In addition, the statements and conclusions about the material’s behavior are more precise. 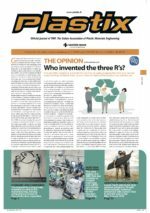 Previously, a material producer only had optical or physical values at his disposal. Now, the statements can be made in a direct connection with the processing method. A case example shows the comparison of a material sample with the previously acquired data set from the production line (Figure 6). A normal examination of the flow and hardness characteristics with OFT and Brabender shows no deviations from the standard. Only an analysis of the material’s injection and metering behavior reveals large differences, which permits the conclusion that a recipe component is missing. Thanks to the described system, raw material producers are now able to measure the behavior of thermosetting molding compounds during plasticizing, and to describe them more closely. Moreover, comparative examinations can be carried out quickly. Due to the complete data storage of all cycles, and the possibility of including historic results in current analyses, the time and expense required for material characterization is greatly reduced. Furthermore, variations due to changes in the process values during several cycles can be calculated very precisely. Whether a deviation lies within the statistical spread or represents an irregularity, can be assessed by means of the acquired measurement data. Similarly, deviations that occur gradually during manufacturing and when processing the production batches (batch-to-batch drifts) can be detected directly and statistically using process control methods. 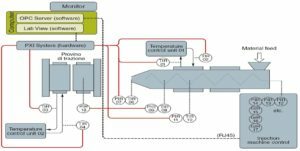 Also the process behavior of newly developed materials can be assessed more accurately in this way, and previous customer-specific solutions can be adapted to changing requirements. This research and development project was funded by the Federal Ministry of Education and Research (BMBF) within the conceptual framework “Research for tomorrow’s production”, and supervised by the Project Management Agency Karlsruhe (PTKA). The authors are responsible for the contents of this publication.